Cauliflower pizza crust has hit the mainstream! Pizza joints and supermarkets are now offering their own versions of this vegetable-based pie. Happily, it’s easy to make gluten-free cauliflower pizza crusts at home! Why Make a Cauliflower Crust? What’s all the buzz about? With the surge of people looking for more gluten-free options and incorporating nutritious meals into their daily rotation, it’s not a surprise that cauliflower has become so popular. This foolproof crust recipe satisfies pizza cravings, offers the chew factor, and can be picked up with one hand without falling apart. You’ll love the neutral flavor of the cauliflower and won’t miss the traditional wheat crusts. All you need is a food processor and your favorite toppings, and a hot and fresh pizza is on its way! I never thought to make pizza dough with vegetables, but I am now convinced that it’s possible to satisfy any crusty cravings with this recipe. With a little ingenuity, I’ve achieved a chewy, tender, bread-like texture—and it doesn’t crumble to pieces when you pick it up. I use a combination of raw cauliflower, corn flour (or masa harina), eggs, olive oil, salt, cornstarch, and Parmesan cheese. All of these ingredients are commonly found in grocery stores. Just make sure you look for the finer milled corn flour and not cornmeal. Otherwise, the dough won’t hold together as well. Once you have all the ingredients, this crust is really easy to pull it all together! How does cauliflower pizza crust taste? This recipe is mainly a combination of pureed cauliflower and corn. It’s got a strong dried corn kernel taste—think tortillas—and the cauliflower flavor is barely noticeable. The aged Parmesan cheese also adds a savory element. You’ll be amazed that this recipe is gluten-free; you won’t miss the traditional all-purpose flour recipe once you give this a try. After taste testing some store-bought products, mostly from the freezer aisle, I found that some were overly chewy, sticky, or just plain fell apart. I’ve created a cauliflower pizza crust that has a soft, doughy consistency, similar to a flatbread, with edges that get crispy once it’s baked with the toppings. All you need is a food processor to make the cauliflower pizza crust. Add the small pieces of florets, corn flour, egg, olive, and salt, and process into a wet paste. The cornstarch is then added to provide additional binding properties and a chewy texture. Wait to add the freshly grated Parmesan cheese until the very end so that it doesn’t become too heated during processing. If the cheese gets warm, it could melt and make the crust more difficult to work with. The dough will feel slightly sticky to the touch, so make sure to shape it on a piece of greased parchment paper. It helps to dust the surface of the dough with extra corn flour as the dough is being pressed and rolled. The crust will roll out to an 11- to 12-inch size and it doesn’t shrink much once baked. Par-bake the crust on its own for about 10 minutes before adding any toppings. This helps to set the dough so that it’s firm and flexible, and it also prevents the center from becoming soggy and undercooked once the toppings are added. Once par-baked, the crust is ready for toppings and a final bake! Transfer the pizza to a wire rack set inside a sheet pan so the bottom does not overcook. In the second bake, the edges will become slightly crisp while the center will still have the texture of a flexible and tender flatbread. It’s easy to slice and grab; just keep the toppings light because this crust is thinner than a typical wheat-based pizza crust and can’t support as many toppings. I often prefer simple toppings with my cauliflower crusts, and often go with a Margherita-style pizza with tomato sauce, slices of fresh mozzarella, Campari tomatoes, and fresh basil. But you can also add anything you are craving that moment. Feeling fancy? Sprinkle with goat cheese, figs, arugula, and a drizzle of honey. Keep it classic with cheese and pepperoni, or make my personal favorite—Hawaiian pizza with ham and pineapple. It’s best to make the pizza crust and bake with the toppings the same day for the best eating experience. However, as the cauliflower pizza crust cools, it stays sturdy. If you have leftovers, reheat the slices in a 375°F oven until the crust is warm and crispy, and the toppings are nice and hot. 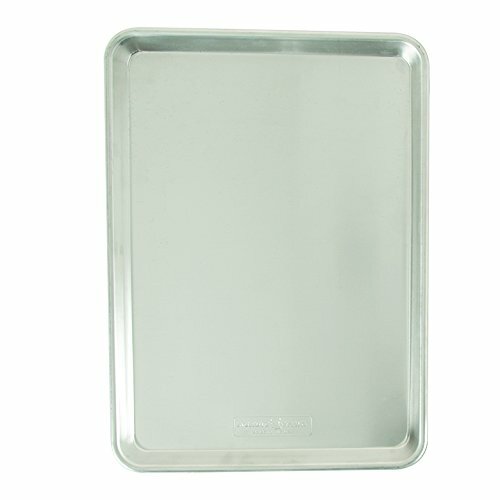 1 Preheat oven: Place the oven rack in the upper-middle position and preheat the oven to 475ºF. 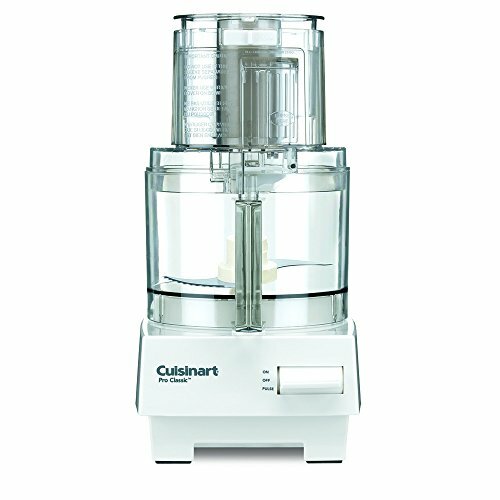 2 Process the dough: Add cauliflower florets, corn flour, egg, olive oil, and salt to a food processor. Process on high speed, scraping down the bowl every 30 seconds, until a smooth and sticky puree if formed—about 3 minutes total. Add the cornstarch and process on high speed for 30 seconds. Add Parmesan cheese and pulse until just combined, 5 to 6 pulses. 3 Shape the crust: Lightly grease a piece of parchment paper with olive oil. Transfer pizza dough to the paper. Lightly sprinkle more corn flour on top. 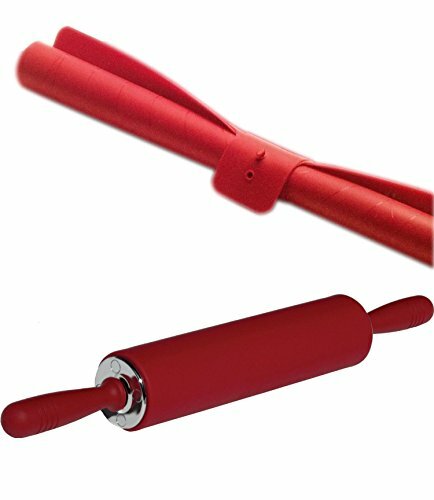 Use your hands to press and shape the dough into a 10-inch circle, then use a rolling pin to gently roll out the dough to about 11-inch circle. Dust the dough with more corn flour as needed to prevent sticking while shaping and rolling. 4 Par-bake the crust: Bake the crust for 10 minutes. Remove the crust from the oven and allow it to cool for 3 minutes, and then run a spatula underneath the crust to carefully remove and then transfer to a wire rack set inside a baking sheet. Discard the parchment. 5 Add toppings: Spread the pizza sauce over the crust, leaving a 1/2-inch border. Place the cheese and tomatoes (or other toppings) on top. 6 Bake the pizza: Bake until the cheese is melted and pizza edges are golden and lightly crisp, 5 to 7 minutes. 7 Serve: Garnish pizza with fresh basil leaves, sprinkle with salt and black pepper. Leftovers will keep for about a week. To reheat, place on a foil-lined baking sheet and cook at 375ºF until the cheese is melted and the crust is warm and crisp, 5 to 7 minutes. Hello! All photos and content are copyright protected. Please do not use our photos without prior written permission. If you wish to republish this recipe, please rewrite the recipe in your own unique words and link back to How to Make the Best Cauliflower Pizza Crust on Simply Recipes. Thank you! I need a no carb version, too! This is perfect except I need to use an egg replacement for my husband, is this possible? For an egg replacement I would give a flax egg a try. Combine 1 tablespoon of ground flaxseed (meal) with 3 tablespoons of water. Stir, allow to sit and thicken for 5 minutes, then add into the recipe instead of the egg as directed in the recipe. Hello – sounds amazing – can you freeze the part baked crusts for future use? Yes, you can freeze the par-baked crust. Allow it to cool to room temperature and then freeze on a sheet pan on top of a piece of parchment paper. Once frozen, wrap in plastic and then in foil. You can then bake the pizza straight from the freezer with toppings, you may need a few additional minutes of baking. The crust can also be fully defrosted, topped, and then baked. I would also like a grain free version! Will look forward to that! The cauliflower crust is meant to lower carbs and the use of corn flour totally negates that. Hi, Buford! Thanks for the comment! This recipe is intended more for the gluten-free crowd than the low-carb crowd. I’ll add a low-carb version to our “to do” list!